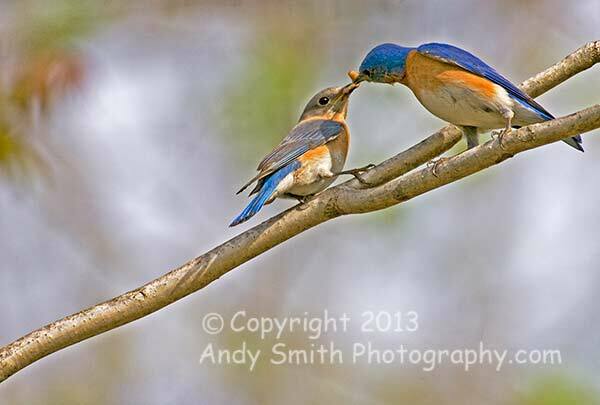 The Eastern Bluebird, Sialia sialis, is a common species in Eastern North America. This pair is nesting in a tree hole in Valley Forge National Park, Pennsylvania. They are on the way to the nest to deliver the tasty caterpillars in their mouths to the young.